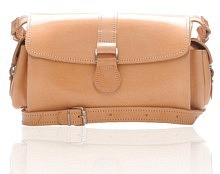 Most women enjoy leather barrel bags as the ideal satchel to carry on a daily basis. 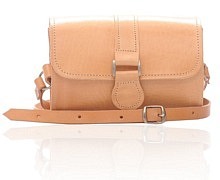 Leather barrel bags are stylish, trendy leather satchels that provide durability. Most barrel bags allow you to carry just a few items. This is nice because you won't be carrying too much bag with you when you are on the go. Leather barrel bags are fabulous because they are lightweight and are just the right size to fit your needs. You won't find yourself lugging around a heavy bag that is awkward to carry. The straps fit just right so your belongings can easily be carried. Leather barrel bags are trendy and fashionable. They may have a pocket or two, which allow you to organize your smaller belongings. This allows you to put items you need at your reach in an easy to get to pocket. This kind of leather satchels are made with the strongest leather to allow you to own a polished and trendy leather bag for many years. They are durable and will not wear holes easily. These bags are made to withstand a lot of travel and wear and tear. You will want to take your leather barrel bags with you everywhere you go because they are so convenient. Leather barrel bags are ideal for women who are on the go all of the time.